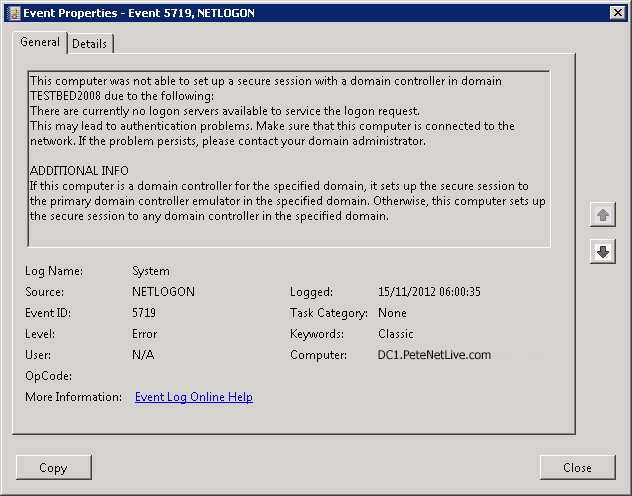 You see the following error in your event log (seen here in the system log on a domain controller). Note: In this case the domain it could not contact was NOT my live domain name it was a different domain name. If your error is referencing your live domain name then you have a different problem. 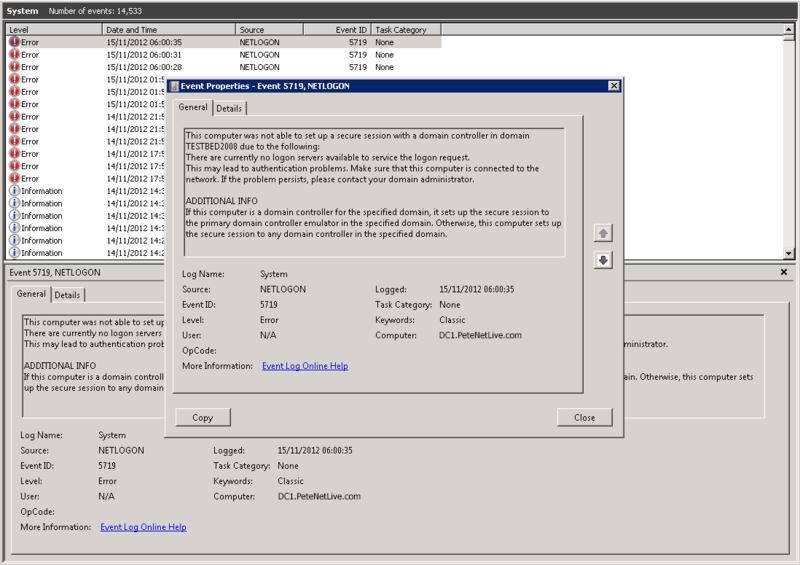 Cause: In my case the problem was being caused because I had a domain trust to a domain that was no longer contactable, (one of my colleagues has set it up in the past to do some testing). So I simply needed to remove the trust. Warning: In this case that trust is no longer required – Check! 2. 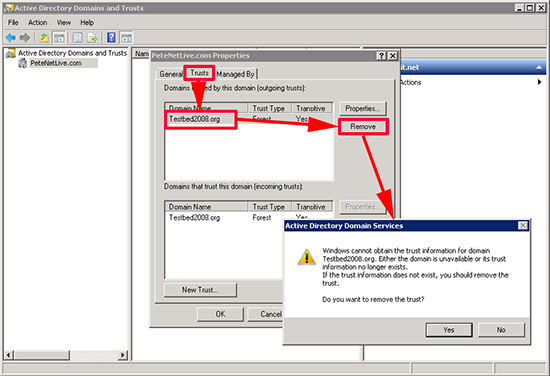 Right click the domain name > Properties > Trusts > Select the problem domain > Remove > Yes > OK.